Samsung's Focus S is a superlative Windows Phone for AT&T. Nearly every feature performs flawlessly. Find out in Phone Scoop's full review if there's anything about the Focus S to dislike. The Focus S is Samsung's best Windows Phone to-date, boasting speedy performance, a solid camera and of course Microsoft's Mango operating system. 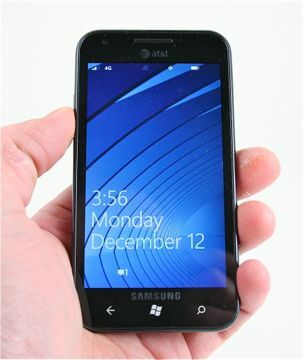 It also manages to fit snugly between the HTC Titan and Focus Flash in AT&T's Windows Phone lineup. Is it the Goldilocks of Windows Phones? Samsung's Galaxy S8 flagship raises the bar for smartphones thanks to its eye-popping display, attractive design, and blistering performance. This Android handset impresses in nearly every way. Both the Samsung Focus S and Focus Flash will arrive at AT&T on November 6th. Totally agree. WP7 is such a hard sell anyway. No one wants it. The Galaxy S II for AT&T is essentially an Android version of this phone. It literally hurts my eyes looking at it. Those big a$$ fonts and then sometimes the words overlap to the next screen. Ridiculous! Then those ugly square tiles all one solid color on a plain black background. Yuck just yuck!!! Metro UI is the ugliest, most dull interface I have ever seen on a smartphone. WTF was Microsoft thinking. I just can't get over how ugly it is SMFH!!! To each their own in this smartphone race.